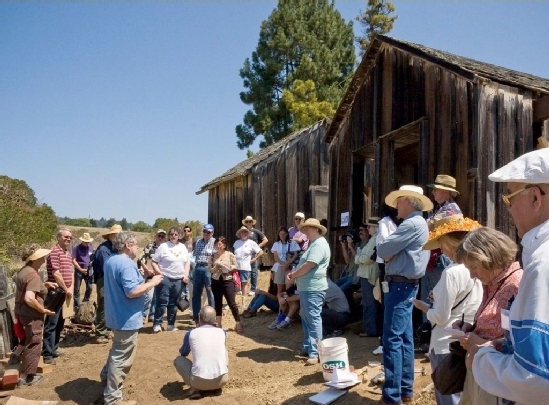 The Friends work to restore and preserve the old lime kilns and historic buildings of the Cowell Lime Works Historic District through fundraising, coordinating volunteers, and soliciting donations of materials. The Friends bring the site's rich history to life through tours and other educational programs. The District encompasses some 30 acres at the main entrance to the University of California, Santa Cruz. The district includes four lime kilns, the cook house, cooperage, hay barn, Cardiff House, worker cabins, and many other buildings and structures from the 19th century. In 2007 the district was placed on the National Register of Historic Places.